" Very easy to put together and plenty of adjustment options. 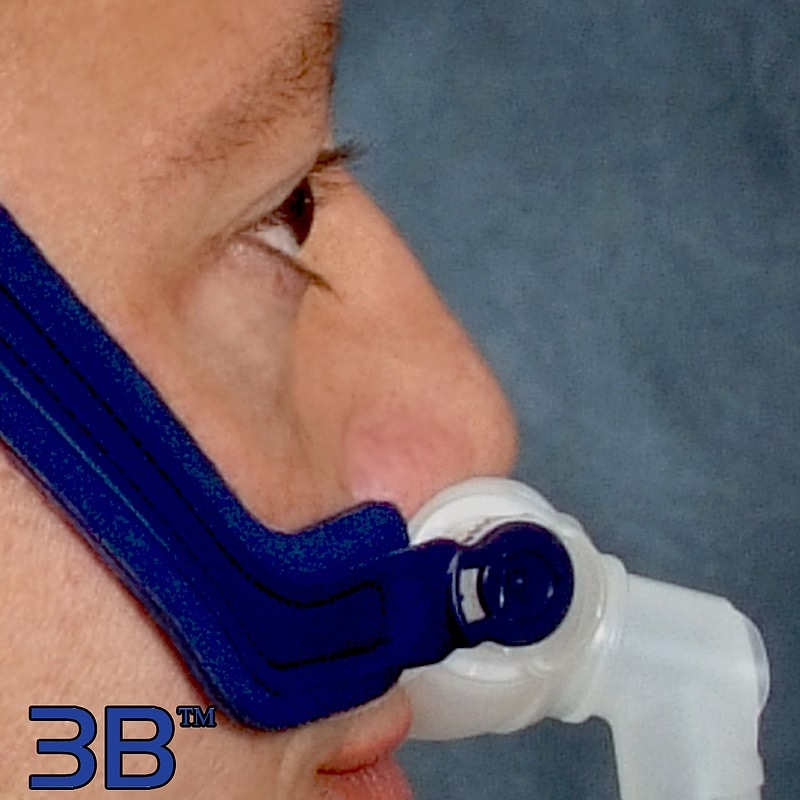 I highly recommend it "
" This is by far the most comfortable CPAP nasal product I have had in 15 years! " The lightweight Willow Nasal Pillow Mask comes with three sizes of nasal pillow sleeves offering choice when fitting. The headgear design is minimal with limited contact to the face. 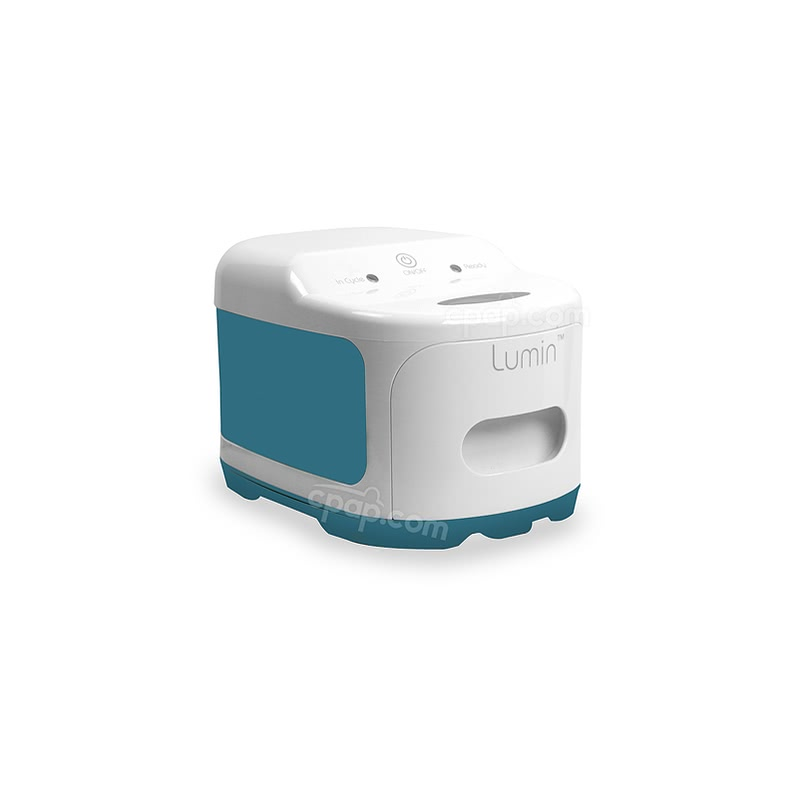 The included short tube is lightweight and flexible. 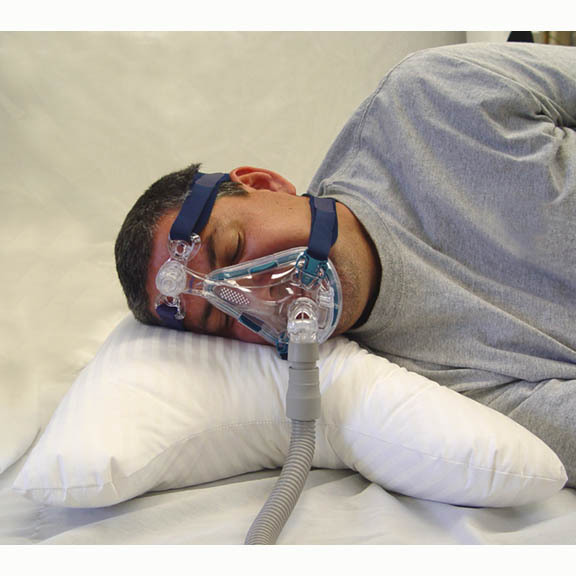 The Willow Nasal Pillow CPAP Mask and Headgear is designed with versatility of function and comfort. It comes packaged with all three sizes of pillows. Keeping in mind that reducing the weight of the mask increases the chance of therapy success, the Willow has a minimal design made of lightweight materials. The Willow's nasal pillow sleeves are made of very thin and flexible silicone tapered at the end for comfort and seal. Small, Medium, and Large nasal pillow sleeves are included with the set to find the size that works best. 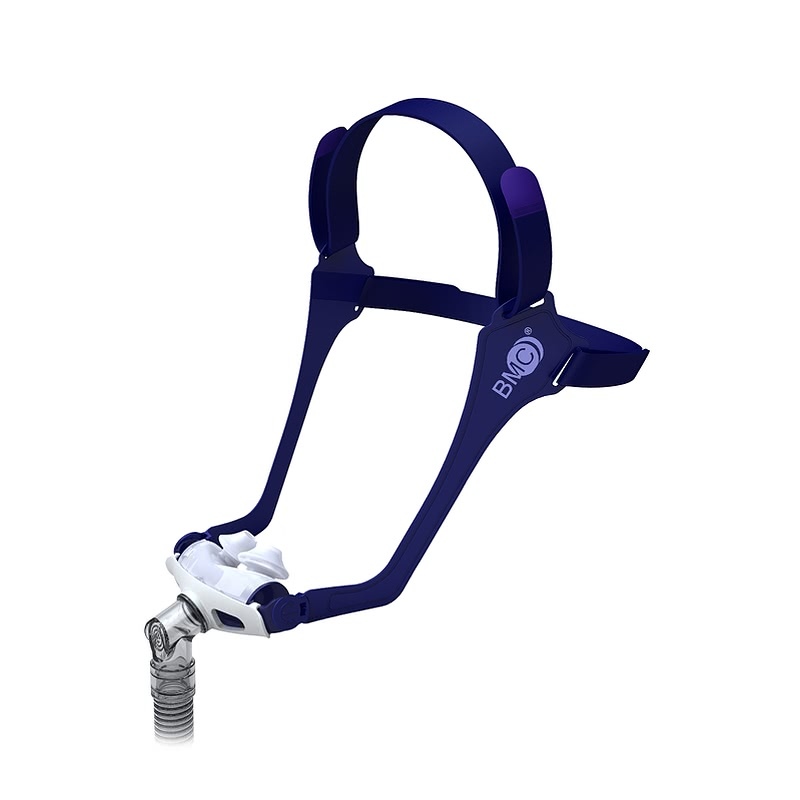 The Willow headgear features stability supports that help to maintain the fit and seal of the nasal pillows against the nare. Adjust the headgear using the Velcro closures to get the best fit. The elbow connection allows the hose to rotate to avoid stress on the mask and reduce seal disruption. Use the included hose strap to secure the short hose up over the head and out of the way. Remove the headgear by turning the round blue clip within the clear, ridged circle. Remove the short tube elbow from the mask frame by firmly holding the mask frame in one hand and pulling on the plastic elbow - not the tube - of the short hose. Next, grasp the 'wings' of the frosted sleeve clip - NOT the clear plastic frame circles that the headgear attaches to - and pull out and away from the clear sleeve frame. The sleeve clip will pull away from the frame and pillow sleeve. Once the sleeve clip has been removed, the pillow sleeve will easily peel off the frame for cleaning or changing the size. Lift the sleeve away from the frame, gently dislodging it from the sleeve frame tabs. The nasal pillow sleeve has a tab along the long edge on the same corner of the sleeve as the letter (S; M; L). The clear sleeve frame has an "R" and an "L" stamped on the ridged circles as well as an arrow pointing down. Locate the "R". Holding the "R" side of the frame in your right hand with the arrow pointing down, locate the notch in the frosted edge close where the circle comes off the frame. Begin applying the pillow sleeve to the frame by lining up the sleeve tab with the notch on the frame. Gently work the edge of the silicone into the ridge along the long edge of the frame. The pillow sleeve will naturally curl around the frame to fit on the opposite long side. Work the silicone sleeve over the frame tabs and into the frame edges. 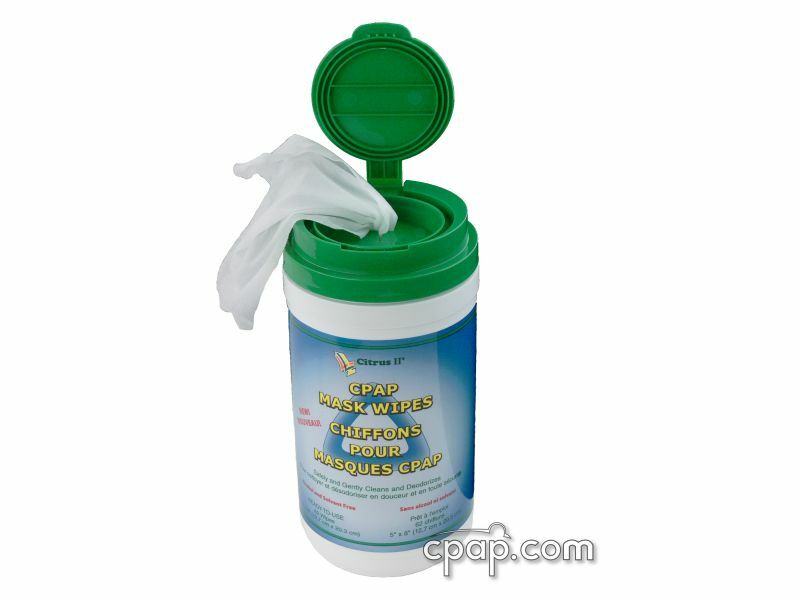 Check to be sure the silicone pillow sleeve is secured against the clear plastic frame adjusting as needed. Snap the frosted plastic sleeve clip back onto the frame opening. The clip does not have a left or right side - simply line up the ends with the sleeve frame. Snap the short tube elbow into the opening on the front of the frame. Locate the "R" and the "L" on the blue headgear tab and match that to the right and left side of the pillow frame. Reattach the headgear by inserting the blue clip into the hole on the clear rigged frame circle. The tabbed edge of the blue clip will go into the hole opposite the notched side of the hole. Adjust the headgear supports as needed for fit and seal. 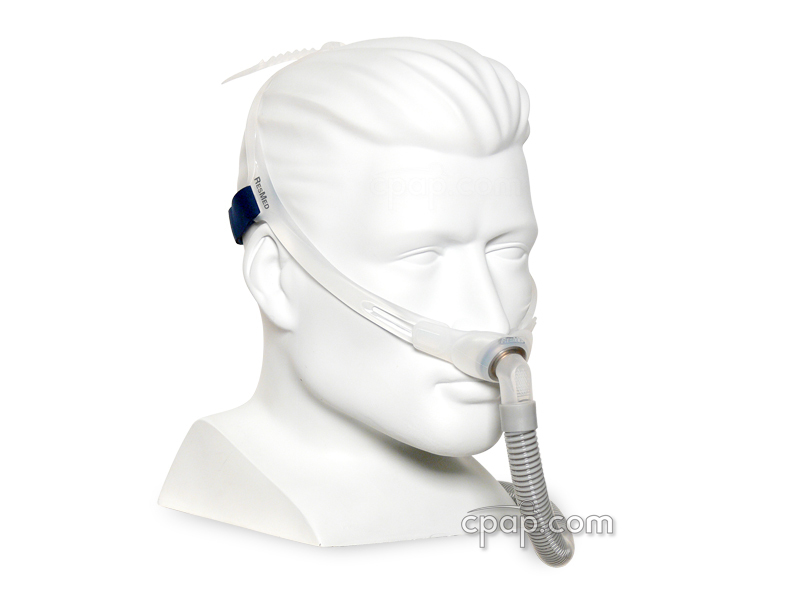 How can I find replacement parts for my CPAP mask? 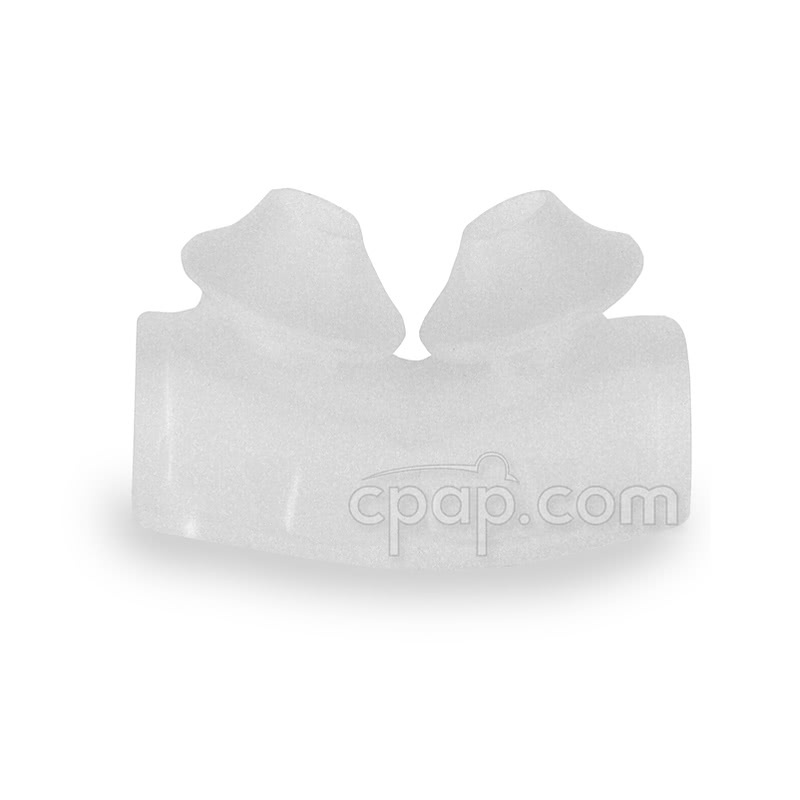 Replacement parts such as: mask cushions, headgear, headgear clips, and others are available for many masks. Use our Replace Part Wizard to identify your mask and see all the related parts. Browse for your mask and then click the "Replacement Parts" button on your mask's product page. What type of mask works for people with full beards? 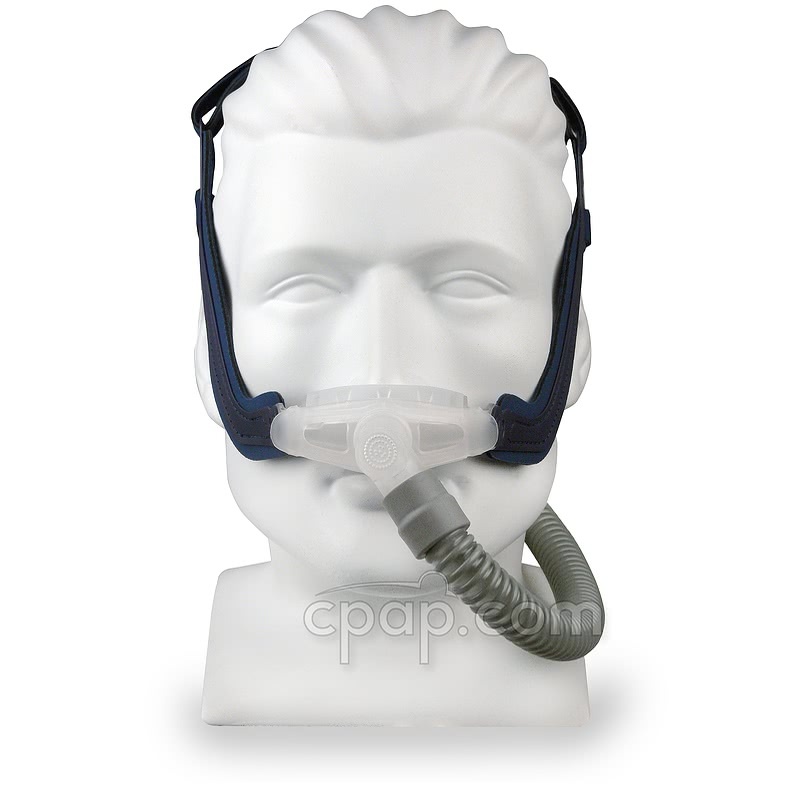 Full face masks work well for CPAP users with full beards. One tip is to smooth the beard with lanolin to soften the beard where the seal makes contact. 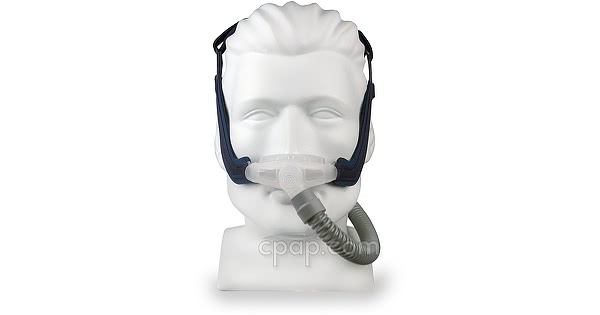 Nasal pillow masks are also liked by full bearded CPAP users. If you are a person who breathes through your mouth remember to use a chinstrap. Total face masks encompass the entire face and can be an option for people with facial hair. Masks with a gel or foam cushion can also be better with facial hair as they are able to mold better to the face to create a seal. See our recommended masks for people with Facial Hair.